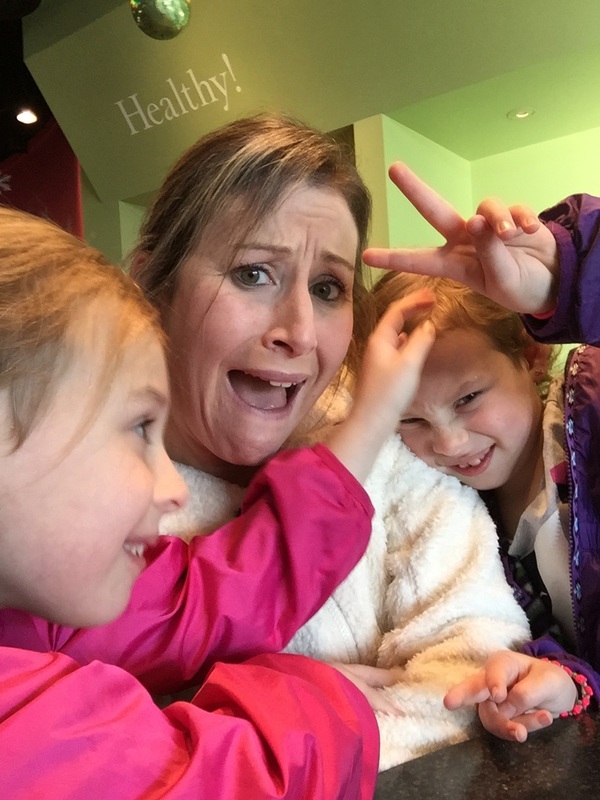 Let It Go — MommiesRun. Remember when you were a kid and you would be on the swings, swinging as high as you could, and then you'd simply let go...and for that instant you would feel completely free as you flew through the air? There was nothing weighing you down, no timelines or restrictions, only the eventual pull of gravity which caused you to tumble into a pile of laughter on the grass below. And then like any normal kid, you would get up and do it all over again, because the "letting go" was the most incredible feeling ever. I guess I kind of got to experience that "letting go" feeling as an adult when I quit Whole 30 and my run streak all in the same week. The Whole 30 retirement happened because I was at a dinner and it was impossible to know the ingredients in what I was eating. Oh, and I also remembered I hate feeling restricted in my eating. I wholeheartedly believe in the science behind Whole 30. As a pharmacist, it simply makes sense. But as a human being, I can't get myself to be "all-in", even for 30 days. Maybe I'm weak, or maybe I just like cheese too much. Either way, I love the lessons I learned in my almost two weeks on Whole 30, and I completely support anyone that gives it a go. The end of my run streak happened with a little more fanfare. After months of running in pain, it all came down to a single treadmill mile that I just couldn't bare to complete. So I simply got off the treadmill, and said, "Jones, out". 752 days after the start of my run streak of at least a mile a day, I was done. And I was completely cool with it. Maybe cooler than I should have been, which told me it was time. I received so many sweet messages when I posted that I was done, but I hated the way the reaction was like someone died. It was JUST a run streak. Believe me, I understand that it is a big deal, but I don't ever want the thing that defines me to be that I'm a run streaker. First and foremost, I'm a Mommy to my beautiful daughters. Then a wife, and a daughter, and a friend, and a pharmacist. And then I'm always ME. And a runner, because running does define who I have become as a person. I guess what I'm trying to say is, a run streak is cool, but ending one is also cool. It's not for everyone, and THAT'S OKAY. The more I run, the more I realize that I want to run happy, and I want to achieve big things, and I want to run for a LONG time. For me, all of that requires some rest thrown in, and Lord Almighty, I love my rest days. I also love being able to cuddle with my girls without the stress of wondering when I'm going to squeeze a run in. Thank you so much to everyone who has supported my run streak along the way! Your cheers were always felt and appreciated. If you ever have any questions about streaking, please feel free to ask. I'm happy to help in any way that I can! How about a cheese eating streak?